The UK plays a pivotal role in Europe&apos;s financial markets. The financial crisis has changed the EU single market and triggered a regulatory overhaul. What does all this mean for the UK and its financial services sector? This is the 2014 Sir Thomas Gresham Docklands Lecture. The event is hosted with the support of the City of London Corporation, the Mercers’ Company, Long Finance, Z/Yen and CISI. 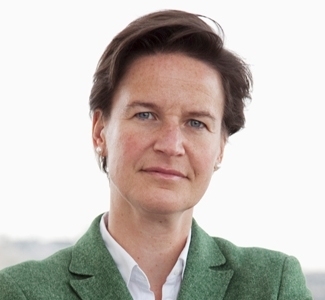 Verena Ross is the Executive Director of the European Securities and Markets Authority (ESMA). She was appointed to the role in March 2011 and joined ESMA on 1 June 2011. She is the first Executive Director of the organisation and forms part of the senior management team along with the Chair of ESMA. The Executive Director has responsibility for the day-today running of the organisation. Prior to ESMA, Verena held a number of senior posts in the UK&apos;s Financial Services Authority (FSA), with her final position being Director of the International Division from October 2009 to May 2011. Verena was also a member of the FSA&apos;s Executive Committee and the Executive Policy and Risk Committees. She began her career at the Bank of England in 1994, where she worked as an economist and then banking supervisor, following studies in Hamburg, Taipei and London (SOAS). Financial markets after the crisis – More Europe or less? Good evening ladies and gentlemen. On behalf of the Provost, the Council, my fellow Professors and the Gresham Team I am pleased to welcome you to our eleventh Sir Thomas Gresham Lecture in the Docklands. Gresham College was set up as a result of the 1579 Will of Sir Thomas Gresham to provide free education for those who live and work in the City of London. We are still interpreting what that means over four centuries later in 2011. The range of issues with which education should properly be concerned, divinity, geometry, astronomy, physic, law, rhetoric, and music, has been extended over the centuries. Since the last century, commerce, and all that goes with that, has been a focus for the Gresham Professors of Commerce. This year Gresham College added environmental science. Of course the City has, in part, moved geographically to the Docklands, so Gresham College has come with it, tonight a bit far from our current City home in Holborn. In 2004 we launched, with Sir Callum McCarthy, then head of the FSA, a number of events to engage with the Docklands community, including this lecture. We are very pleased that this eleventh Sir Thomas Gresham Docklands Lecture, will be given by Verena Ross, Executive Director of the European Securities and Markets Authority (ESMA), which succeeded the Committee of European Securities Regulators. To remind those of you unfamiliar with European System of Financial Supervision, ESMA is one of a trio that includes the European Banking Authority and the European Insurance and Occupational Pensions Authority. To complement this framework, there is also a European Systemic Risk Board (ESRB), under the responsibility of the European Central Bank. These lectures have often featured regulators. The first lecture was given by a regulator. Later speakers such as Andy Haldane from the Bank of England or Charlie McCreevy, an EU Commissioner, at least as notable. Verena’s curriculum vitae is in the programme and you probably read it before signing up to come, so I shan’t read it aloud, but I would point out that she worked with the Bank of England and the FSA before heading over to Paris. You may remember our 2012 speaker was David Taylor, a Briton working in Washington DC as Deputy Comptroller for Capital and Regulatory Policy at Office of the Comptroller of the Currency. With all the compliance around these days, it’s nice to see that regulators are becoming a great British export! The order of proceedings will be roughly this: our speaker will set out her thoughts on “Financial Markets After The Crisis - More Europe or Less?” for 20 to 25 minutes, then she and I shall engage in a 20 minute conversation based on the many questions which you, the audience, have sent us over the past couple of months - although our former registrar, Barbara Anderson said to one previous speaker “while it becomes a friendly and intelligent interview, Professor Mainelli is more akin to Jim Naughtie than Jeremy Paxman.” And at the end there will be a reception where we can all continue the discussion.